Tech Mahindra Placement paper with Solution pdf download 2018-19 – Download here tech mahindra campus placement paper, 2018 batch paper, Tech Mahindra Placement paper and solution pdf download 2018, Download tech Mahindra sample paper. All the candidates appearing for Tech Mahindra campus placement paper need to download the placement paper for better preparation of the exam. 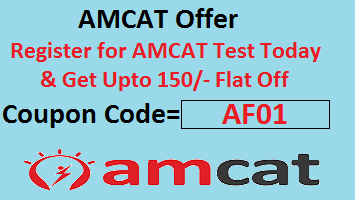 clearing written exam is compulsory for seating into interview round for the tech mahindra hence lets download the placement paper. Placement paper and solution pdf download: Tech-Mahindra is a renowned Indian multinational IT companies having presence over 51+ country employed 1,00,000+ people on different parts of the world. Freshers sought for Tech Mahindra placement because of its good package and multinational exposure. Business Wings of Tech Mahindra includes information technology (IT), networking technology solutions and Business Process Outsourcing (BPO) to the telecommunications industry. We are uploading here Tech Mahindra previous year placement paper for aptitude, reasoning, English and technical part. Tech Mahindra generally conducts three to four rounds for the selection of candidates from BE/B.Tech CSE/ECE/IT, MBA, BCA branches. Tech Mahindra recruits fresher from various colleges through out the year. Tech Mahindra mainly focus on BE/B.Tech,MBA, BCA candidates. BE/ B.Tech (Computer Science, Information Technology, Electronics & Communication, Electronics & Telecommunication, Electronics & Electrical, Electronics & Instrumentation) are allowed to seat in placement. Tech Mahindra latest selection process for 2016-17 batch as given below. 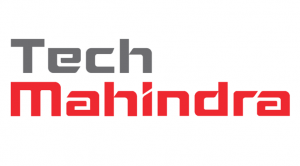 Tech Mahindra recruits fresher in three to four rounds which consist of Online test having aptitude, reasoning and technical question based on C/C++/HTML. Once you clear the online test round who are supposed to attend the Technical Interview and HR interview. In current placement session Tech Mahindra also putting story writing rounds on image based which has to be minimum 200 words in 15 time frame. 2nd Round – Story Writing based on image- 200 words-15 min. 1. what is the highest power of 3 in 200!? 2.Pipe A can fill a tank in 6hrs.due to leak at bottom it takes 9 hours to fill the tank.In what time the leak alone can empty the full tank? 3. 3, 5, 8,13, 21, 34, 35, ? 4. IXT, MAV, QDX ? This type of question will be asked in Tech Mahindra Placement Exam. We have discussed Tech Mahindra Placement paper and solution pdf download and candidates are advised to check the Tech Mahindra Eligibility Criteria and should apply for off campus drive in nearest college. Stay connected with our website for latest updates on Tech Mahindra Placement paper and Tech mahindra off campus drive and question papers. For any concern and query please drop us in the comment box.